Fiber-Optic-Bond 56 Black, Solvent Free Thixotropic Epoxy, Photographic Industry , Laminating is a black, solvent free thixotropic epoxy recommended for high quality photographic industry , laminating, production and repair applications where a room temperature cure optically opaque adhesive for light sensitive components is required. Fiber-Optic-Bond 56 Black, Solvent Free Thixotropic Epoxy, Photographic Industry , Laminating is two parts smooth paste formulation is easy to use, develops strong bonds to itself and to most materials. Fiber-Optic-Bond 56 Black, Solvent Free Thixotropic Epoxy, Photographic Industry , Laminating exhibits low shrinkage during cure, has excellent dimensional stability over a wide temperature range. 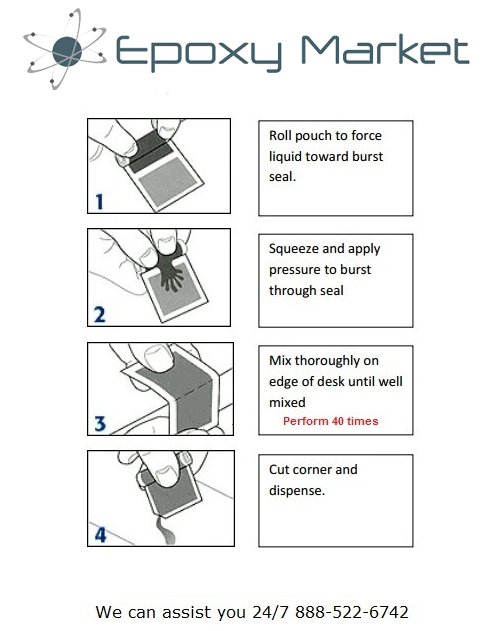 2) Apply this completely mixed adhesive to the prepared surfaces, and gently press these surfaces together. Contact pressure is adequate for strong, reliable bonds; however, maintain contact until adhesive is completely cured.